I love mushrooms. Very. But my husband doesn't. Be more exact doesn't like them on the tactile sensation. 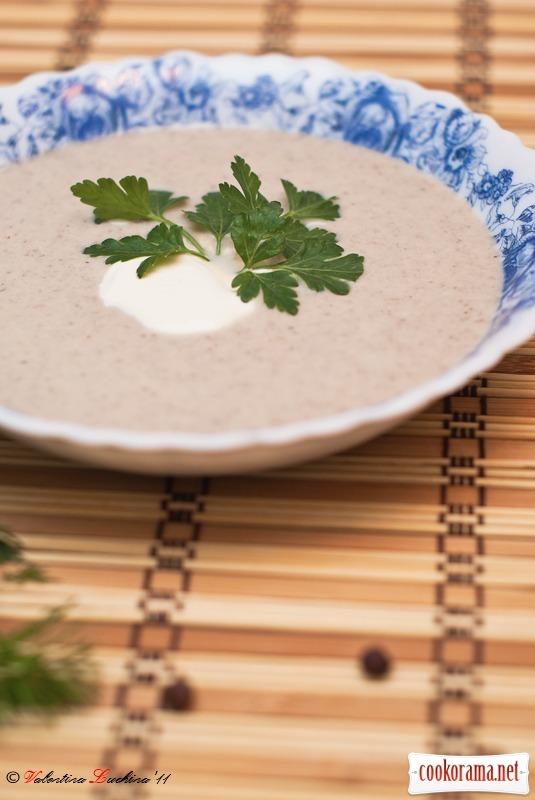 And to combine pleasant with useful, there is an option: puree soup. There is taste, and no tactile sensations of mushrooms pieces. Take mushrooms, cut into pieces. 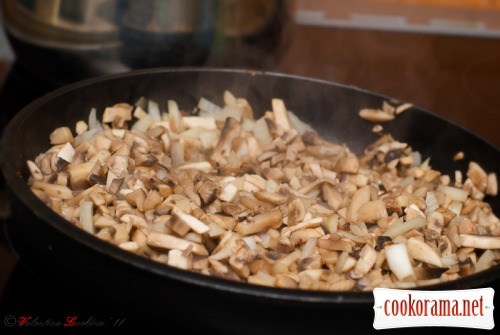 Also cut onions into pieces and send this package on a frying pan to roast until tender. Take a large frying pan. At first, there will be a lot of sliced mushrooms. But you know that they are reduced in size when frying. 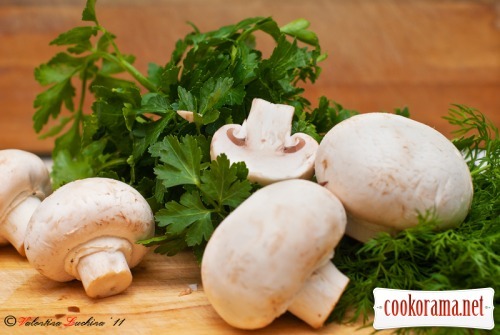 When mushrooms reduced and gone soft — send them in a blender and pour a glass of broth. Grind to puree state. 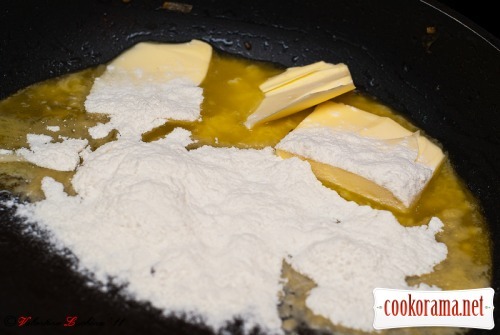 Fry butter with the flour for 2 minutes, stirring constantly. Gradually add the broth. So that no lumps are formed. 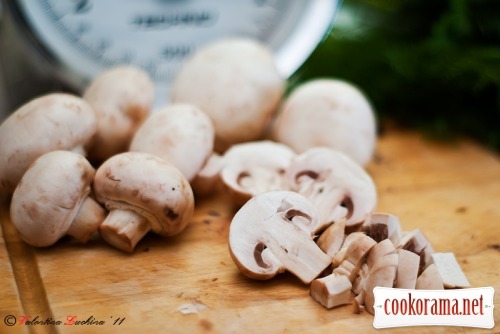 Put pureed mushrooms and bring to a boil. Transfer to a saucepan, add salt and pepper. Stir, leave on the very low heat for about 7 minutes. 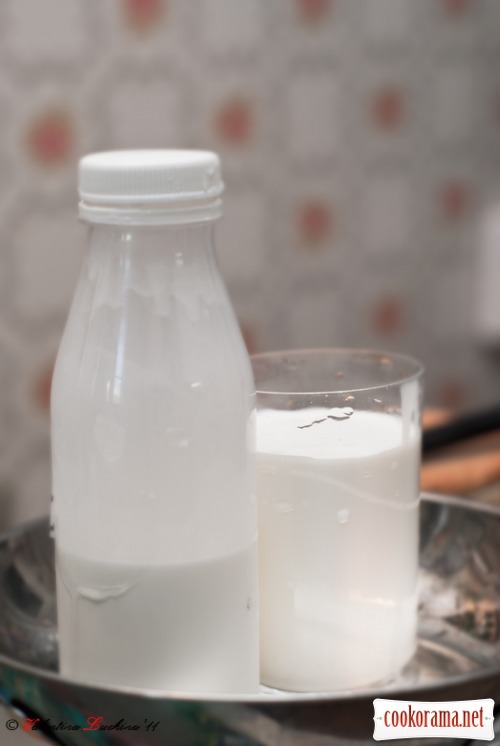 Pour cream. Optionally add sour cream and parsley. 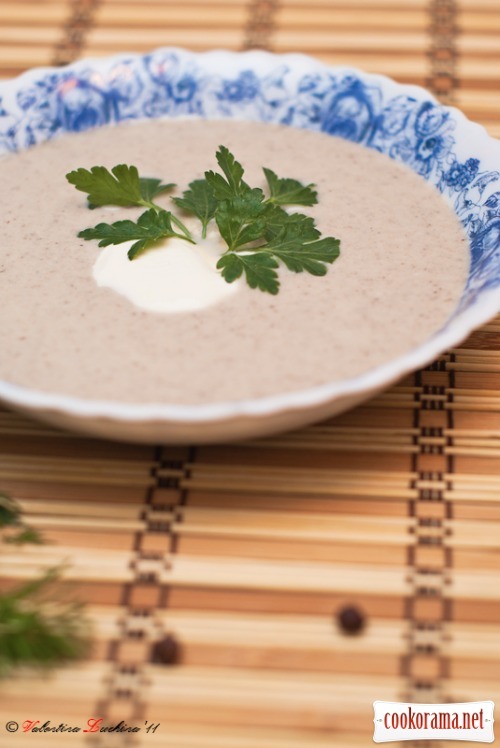 Top of recipe "Mushroom puree soup"